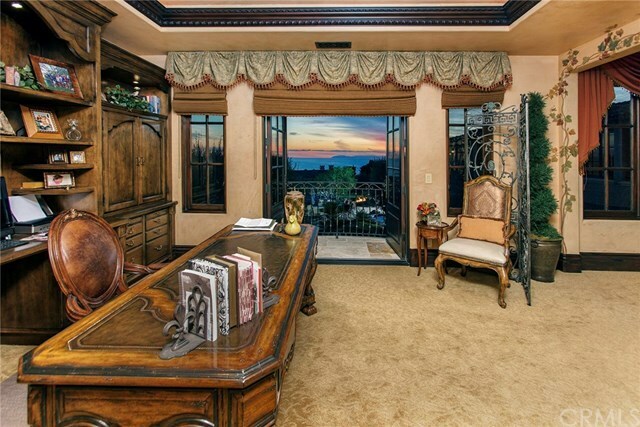 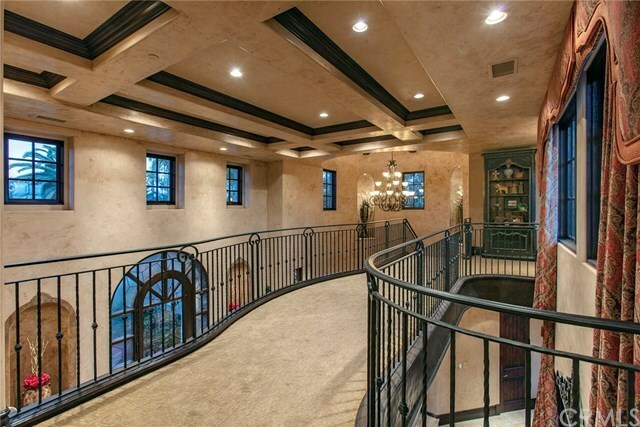 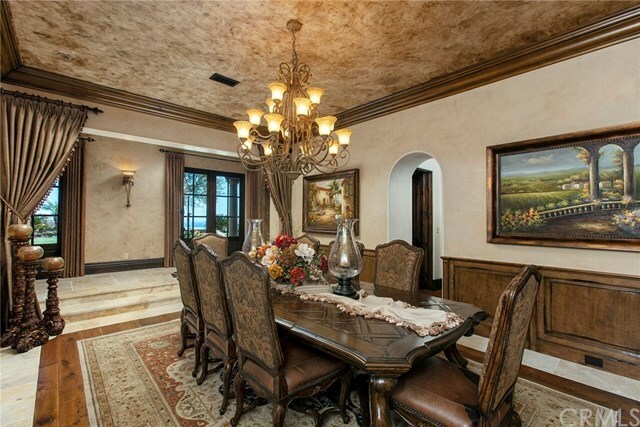 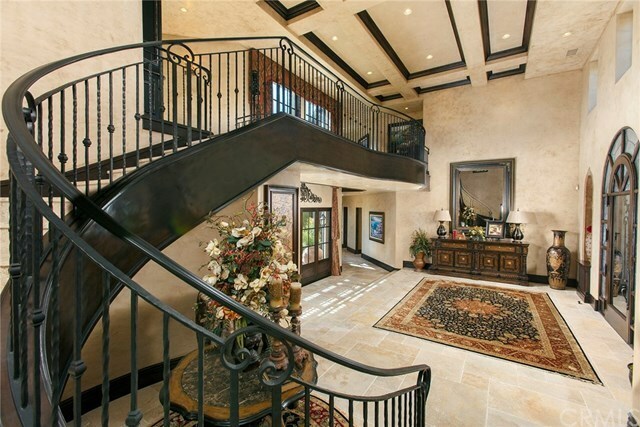 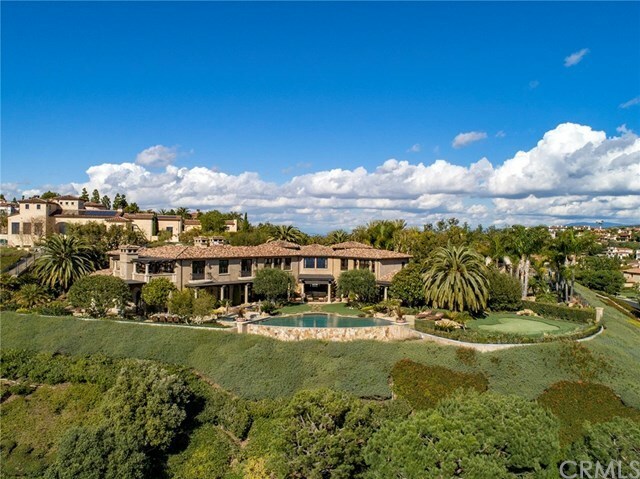 Welcome to this exemplary estate in exclusive, guard-gated Pelican Crest, showcasing the finest of the coveted Southern California indoor-outdoor lifestyle. 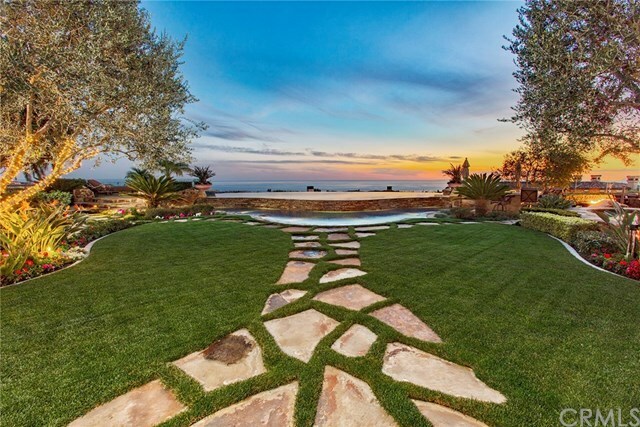 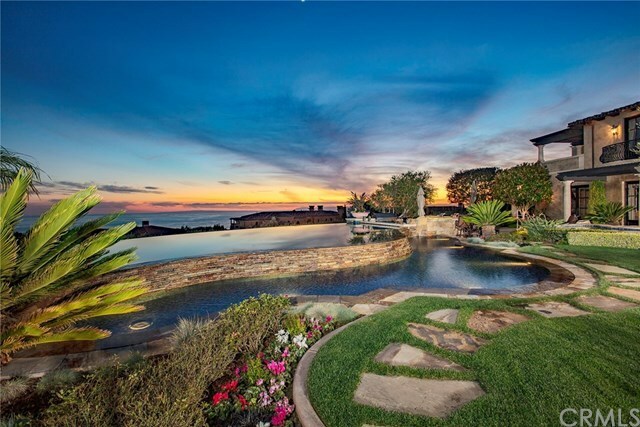 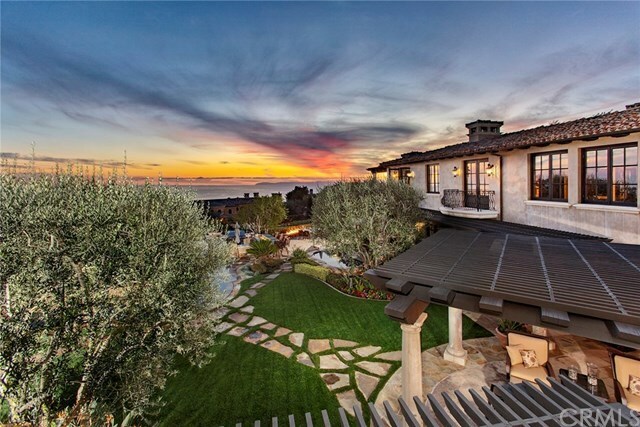 Reminiscent of a fine resort, the grounds include meticulously-manicured landscaping, stunning infinity edge pool with connected wading pool, separate spa, and an entertainerâs dream barbecue area with a swim-up bar and bar seating. 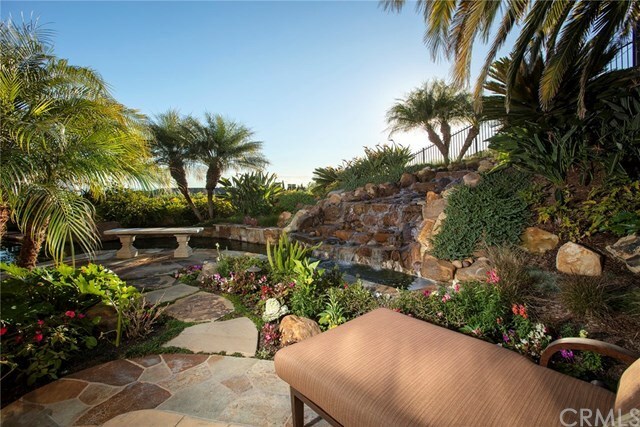 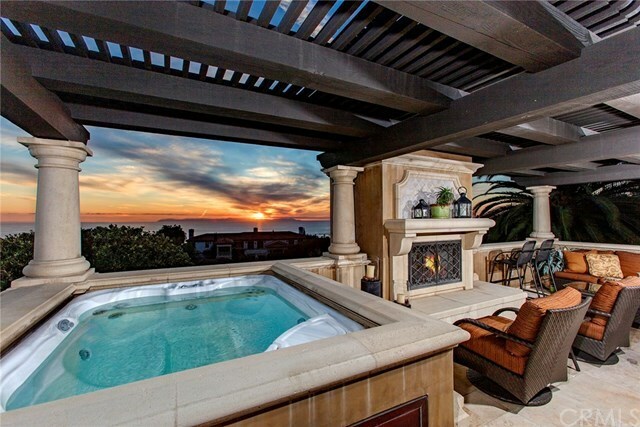 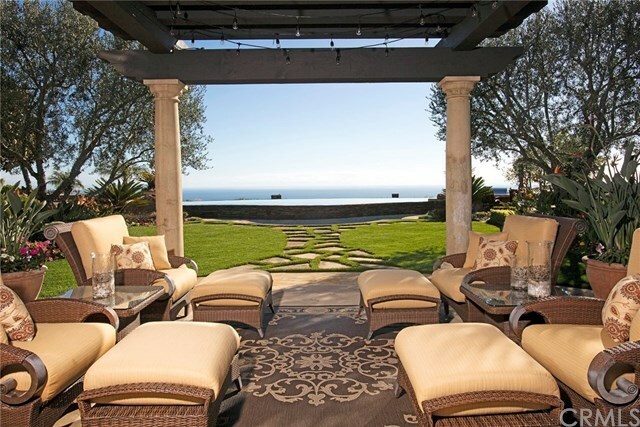 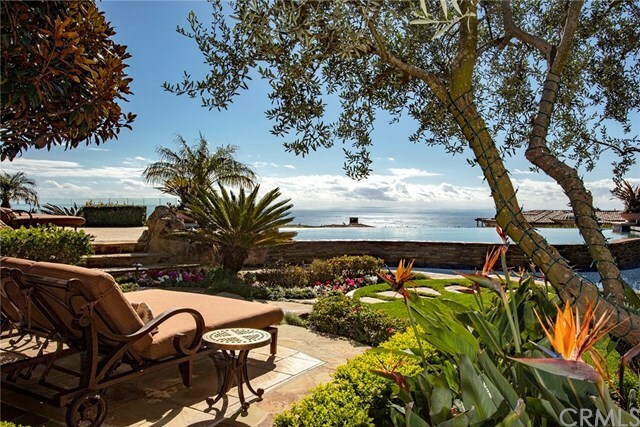 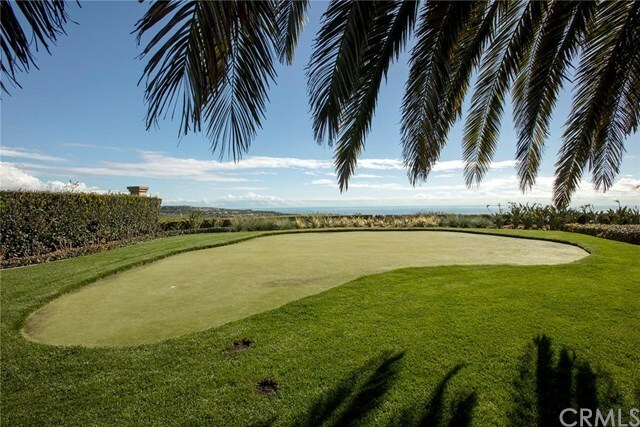 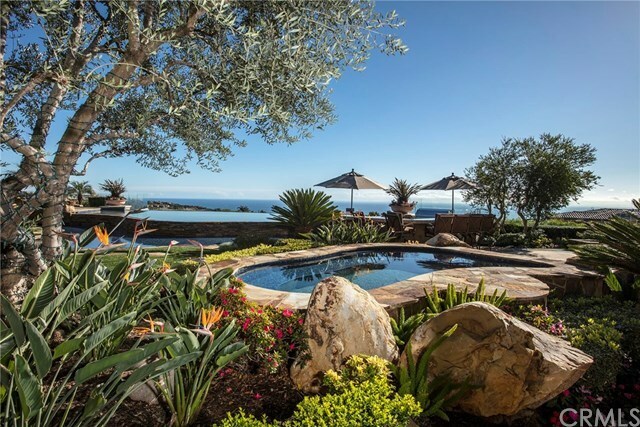 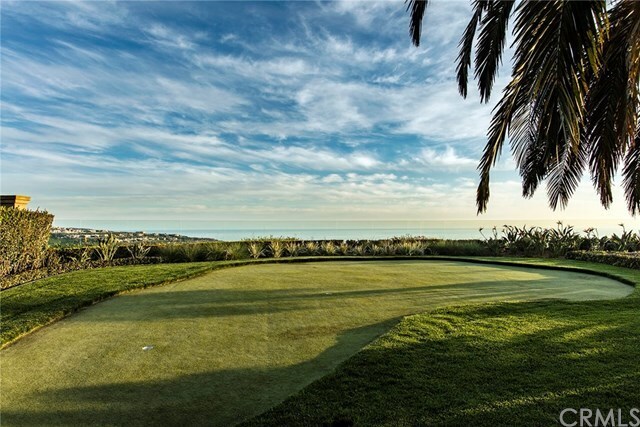 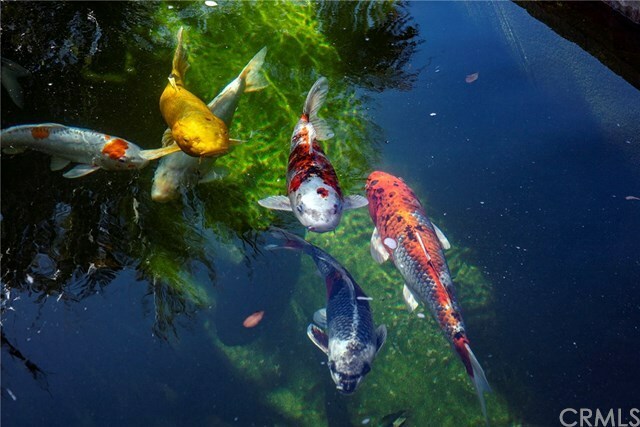 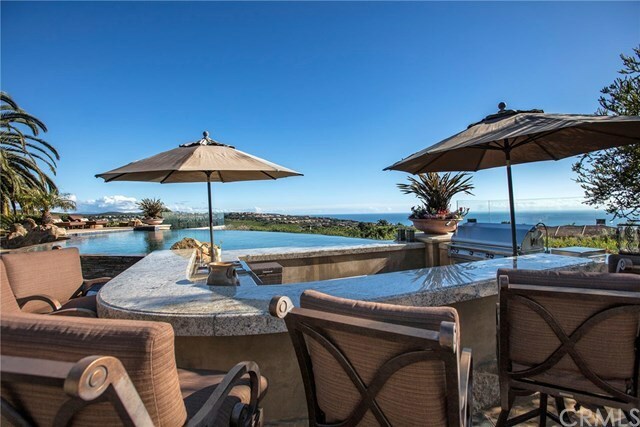 Other outdoor amenities include a peaceful koi pond with tranquil cascading water feature, built-in fireplace, fire pit, putting green, and expansive views overlooking the coastline, city lights, and Catalina on the horizon of the sparkling Pacific Ocean. 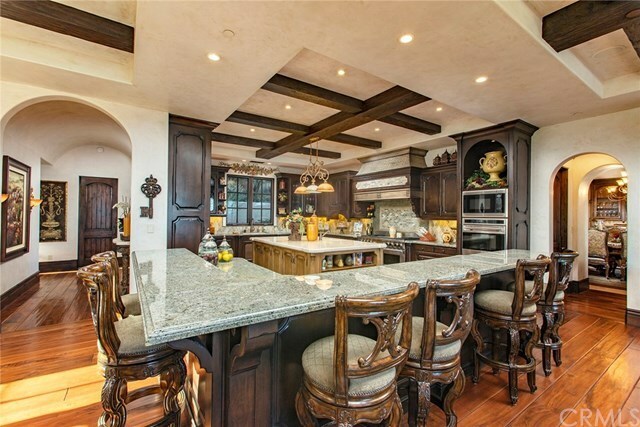 Inside the expansive estate stands a custom chefâs kitchen complete with professional-grade appliances, custom cabinetry, and a large island with eat-in bar seating, integrating seamlessly with the living and entertaining spaces. 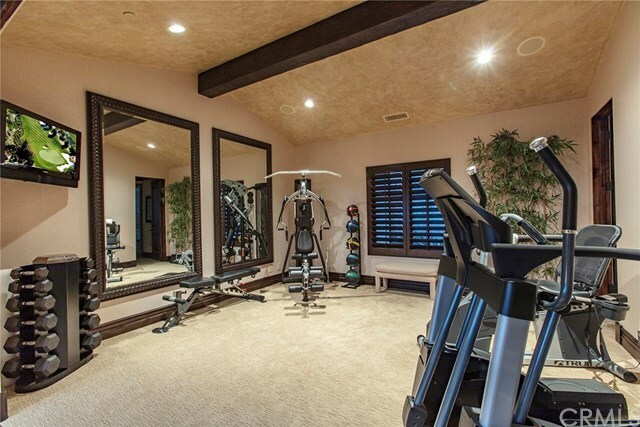 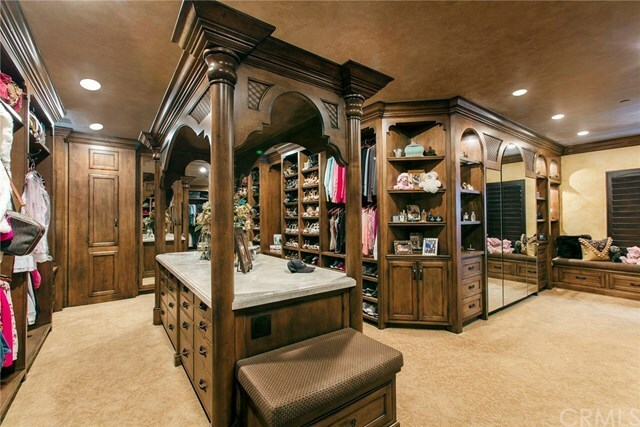 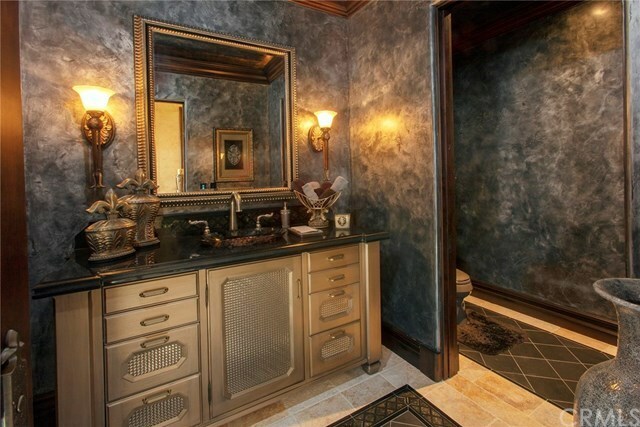 The upper level is host to an office, home gym, and the unparalleled master retreat, which features a sitting area, private terrace with built-in fireplace, spa, and seating, generously appointed walk-in closet, and a spa-like master bathroom, complete with dual-headed shower, separate therapeutic tub, and his and hers sinks and vanities. 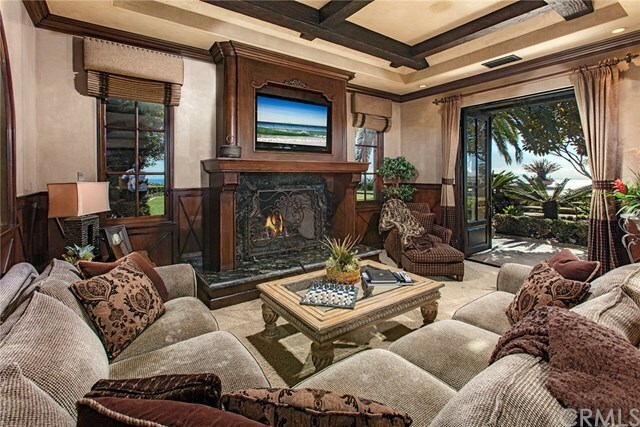 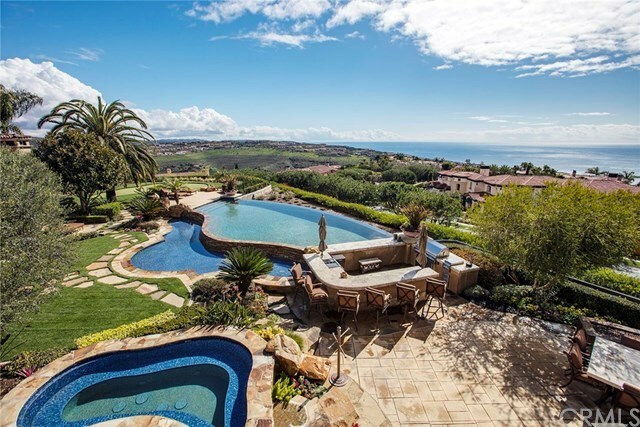 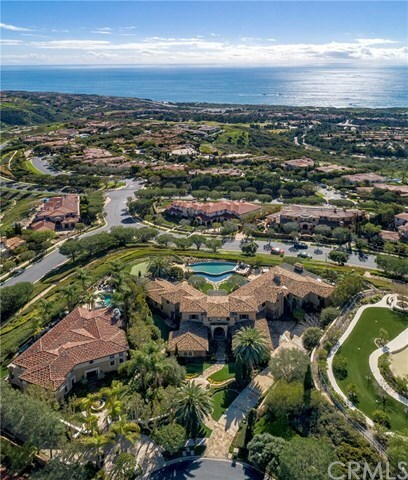 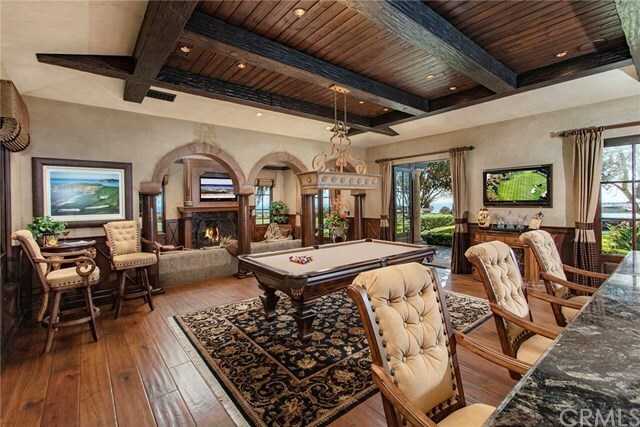 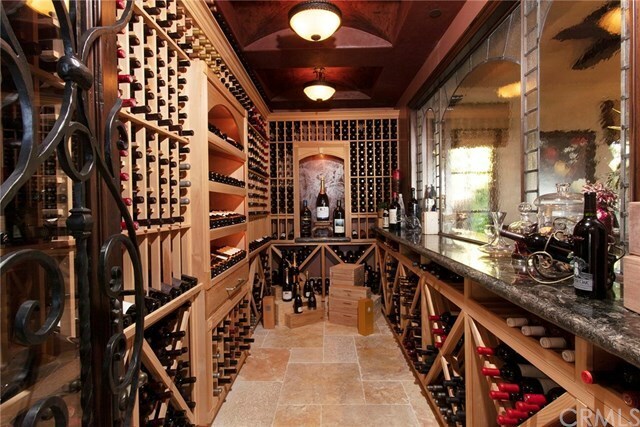 Topping off the amenities of this remarkable estate are the motorcourt, 4-car garage, wine room, bonus room with integrated bar, and amazing location close to all of Orange Countyâs world-class offerings complimented by the peaceful setting of Pelican Crest.